The Jungle Teacher: AC Milan are European Champions!! 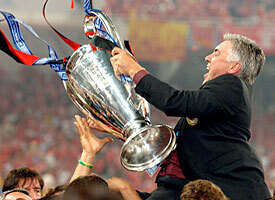 has won the 2007 European Champions League Cup! To ge there, they beat teams like Celtic, Bayern Munich, Manchester United & finally Liverpool.